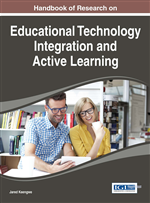 The purpose of this chapter is to create a sense of urgency for teacher preparation programs to integrate technology into the instructional process. School administrators expect that first-year teachers will know how to integrate technology with instruction to enhance the teaching-learning process (Webb, 2011). Yet, teacher preparation program faculty, do not consistently model the use or pedagogy of technology-infused coursework. The intentional embedding of technology in teacher preparation courses and assignments is critical in developing teacher candidates with requisite technology knowledge and skills for P-12 teaching in the 21st century. This chapter discusses: (a) the need for technology literate teachers, (b) the role of teacher preparation programs, (c) the need for technology literate faculty, (d) one training model for integrating technology into instruction, enhancing Missouri's Instructional Network Teaching Strategies (e-MINTS). There is a need for today’s P-12 teachers to be technologically literate which includes: (a) knowing how to use technology tools; (b) demonstrating pedagogy for technology-integrated instruction, (c) having the self-efficacy for implementing pedagogy through integration of technology with instruction. Pedagogy: Beliefs that guide the actual function of teaching; what teachers believe that in turn guides what they do when implementing their craft to assist student learning. ISTE: The International Society for Technology in Education is a not-for-profit organization that provides standards and criteria for what teachers need to teach and what students need to learn, as well as what content needs to be provided by a professional development program in relation to educational technology. Constructivism: A pedagogy that underlies an approach to teaching and learning based on the belief that students learn in a social environment with and from one another and that the role of the teacher is to facilitate the learning process while embracing the roles of both teacher as facilitator and as a fellow member of the learning community. Technology Literacy: Technology literacy is the ability to effectively use technology to access, evaluate, integrate, create and communicate information to enhance the learning process through problem-solving and critical thinking. Self-Efficacy: Self-efficacy refers to an individual’s judgment about being able to perform an activity; in this chapter self-efficacy refers specifically to the confidence that a teacher has in their own ability to use technology tools to enhance instruction. Technology Tools: Chalk, posters, and overhead projectors were once “technology;” today we think of technology only as computer-related tools, yet technology includes all teaching tools that enhance the delivery of instruction and these tools have changed and will change over time. P-12: P-12 represents preschool through twelfth grades, terminology typically used in public schools. e-MINTS: Enhancing Missouri’s Instructional Network Teaching Strategies; a professional development model that that supports high quality lesson design, promotes authentic learning, creates a technology-rich learning environment and builds community among students and teachers. P-20: P-20 represents the education systems inclusive of preschool through higher education.